This is my first review in IBF (Indian Beauty Forever) and I am super excited. Today I will be reviewing my favorite pack of all time. Yeah! Aroma magic glossy pack for pigmentation and dark circles. I always look for skin hydrating packs and this is one of the kinds besides its claims for pigmentation and dark circles. To lighten pigmentation, apply Aroma Magic Glossy Pack only on the pigmented area & scars for 20 minutes and rinse off. To lighten dark circles, apply Aroma Magic Under Eye Gel under the eyes, on top apply Aroma Magic Glossy Pack. Rinse off after 20 minutes. Ingredients: Contains extracts of Garlic, Clove, Nutmeg, Manjistha, Lodhra Bark, Indian Penny Worth, Black Berry Leaves, Jojoba oil, Coca butter & pure essential oils of Lemon Verbena, Neroli, Sandalwood, Basil & Geranium. My Experience: As winter getting hard, I like having face packs that doesn’t stretch or make my skin dry. 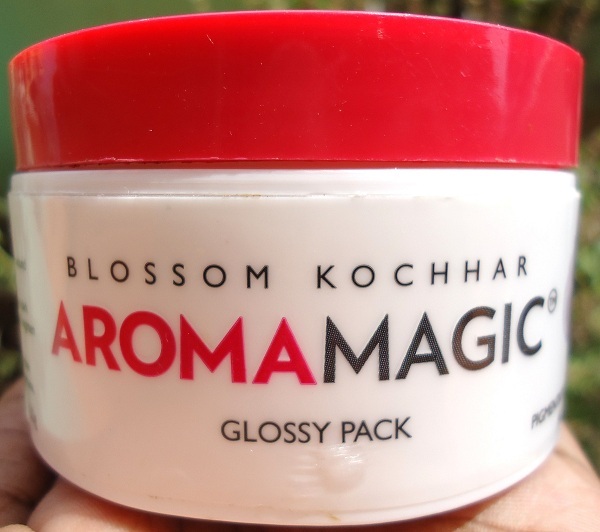 I used about 3 face packs in aroma magic and best of all is glossy pack. I call it Unique. Because it never makes skin dry nor stretch it out. 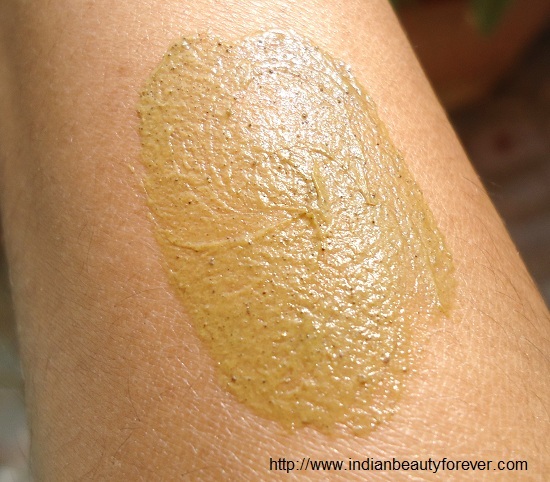 Presence of cucumber, lemon, and sandalwood hydrates the skin. Also it has jojoba oil, cocoa butter, essential oils which help to soothe the skin beneath. 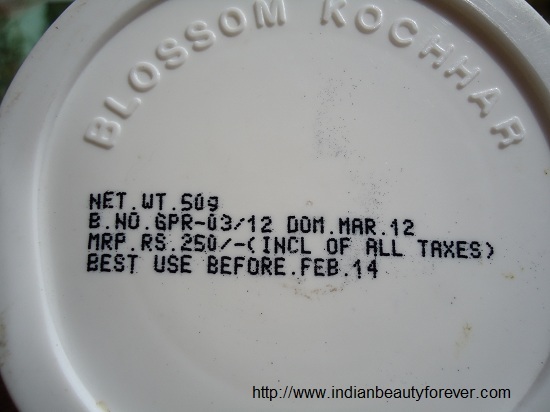 Tub packaging is not so hygienic! I got self-experienced about these lines. Sometimes lumps form in the glossy pack due to the cold climate and I feel little awkward while using it. But no harm while using the pack, I can assure it. Pack is in pale green color or algae color. Texture is so smooth and soft while using. Smells like essential oils and it’s good. Smell doesn’t linger around for long time, just for few minutes of post application. Has creamy consistency and you will need a coin size amount for face. I use extra for my eyes and for area around my mouth. I use thrice and twice a week and completely like it! The pack get dries after few minutes of application and no stretchy feeling, goal. If you read the ingredients list, you will love it. 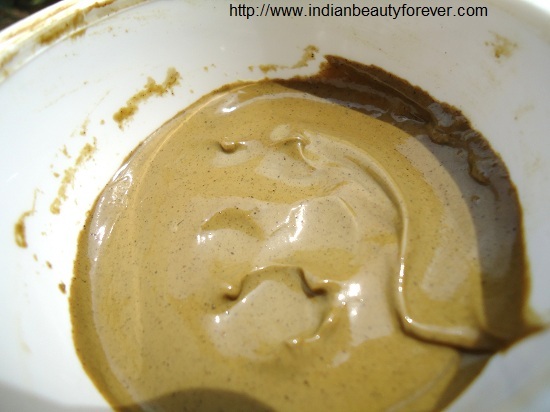 They used almost herbs that is good for skin and which helps to remove adamant dark circles or scars. After washing away the pack, Skin feels so supple and soft. Also adds little natural glow plus ultimate freshness. My skin feels hydrated and balanced. I don’t see any complete reduction of scars and dark circles, but got reduced a little to be frank! 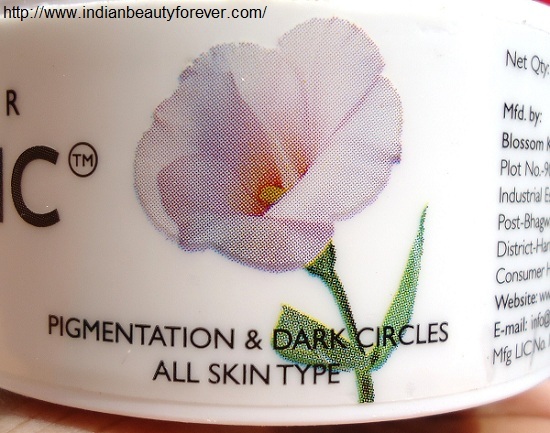 My take: For sure, it does reduce the pigmentation to an extent. About The Author: This article has been written by a pretty girl Gowthami aka Gowmi. She is the owner and Author of BeautyFrontline where you'll find Product Reviews of all Brands, Makeup Reviews, Makeup tutorials, Tiny Teeny bits (Beauty, Makeup & Style tips), about Health, Fashion alerts, Trends and Hauls. Do follow her there to stay tuned for her upcoming and interesting posts. I'm kinda satisfied with the face mask that I'm using these days. It's Essentials Face Mask and it's good for any type of skin. It gives you instant glow and is a great product. oksy..i do have light dark circles and also very light pigmentation but on my elbows i suffer from the problem if open pores,so i do feel i need detoxifying mask,also because i get once in a while breakouts..so i am just confused now which one should i buy am glossy pack or am detocifying mask?which one did u like better? Hi, I have not used this product since It was reviewed by a guest writer However, as per my knowledge, in your case a detoxifying mask would be better. Hi Keerthi! Yes, you can!